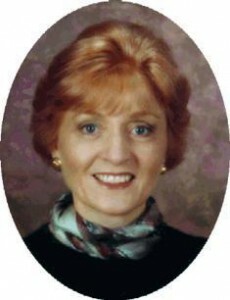 Rita M. Burton, 57, of Thomas Drive, Port Washington died peacefully among her family on Friday, December 5, 2003 after a two year struggle with cancer. She was born January 18, 1946 in Port Washington to Harry and Mabel Olig Burton. Growing up in Port Washington, she graduated from Port Washington High School in 1964. She received a bachelor’s degree in speech-radio, television and film from the University of Wisconsin-Madison and moved out to California. She attended UCLA and USC taking post graduate courses in television and film. From 1968 to 1991, Rita worked for CBS Inc. at Television City and Studio Center going from production worker to vice president and general manager CBS/MTM Studios in 1985. In 1991 Rita left CBS and joined Carsey-Werner Company. During her four years there she managed such TV shows as “The Cosby Show”, “Roseanne”, “A Different World” and “Grace Under Fire” as their Senior Vice President-Executive in Charge of Production. While in the Television Industry, Rita became the first female Production Supervisor/Unit Manager for a network facility, the first female Director of Production Management Services for a network facility and the first female VP/General Manager of a Major Studio Production Facility. She was honored with an EMMY Award in 1973 for Outstanding Special-The Lily Tomlin Special and in 1974 for Outstanding Special-The AFI Salute to James Cagney. After 26 years in the business, Rita retired to Wolf Lake, near St. Cloud in 1995 to enjoy family and Wisconsin. Her great-nieces and nephews were her greatest joy. In 2001 she returned to Port Washington to be closer to family. She is survived by her mother Mabel Burton and a sister Sue (the late Dennis) Croatt, both of Port Washington, two brothers Michael (Gail) Burton of Los Angeles, CA and Harry (Jane) Burton of Williamsburg, VA, nieces and nephews Debra (Randy) DuFour, Dennis Croatt, Lisa (Brian Krueger) Croatt, Shannon (Matt) Duttriant, Suki and Nicholas Burton and greatnieces and nephews of Jake and Kiley Croatt, Trevor Schumacher and Miranda DuFour other relatives and friends. She is preceded in death by her father Harry Burton and brother-in-law Dennis Croatt. Funeral services 6:30PM Tues. Dec 9 from the Poole Funeral Home, 203 N. Wisconsin St., Port Washington, WI to St. Mary’s Church, Port Washington for Mass at 7PM. Interment St. Mary’s Cemetery, Port Washington. Visitation 4-6:30PM Tues with a 4PM Rosary.